Great for families and fishing groups, Fraser Forever sleeps up to 13 people. If you have a larger group, we have another house on the same 1.25 acre block! See Orchid Beach Retreat listing if you wish to book this cottage plus the other house together in one package. Kitchen is fully equipped with cookware, crockery and tableware and large fridge/freezer. All rooms have outside access with secure screen doors—perfect for enjoying cool evening breezes. Covered outdoor entertainment area includes BBQ and dining setting. Outdoor showers for after beach or fishing trips. Huge level yard to park and turn boats and trailers, or for kids to throw a ball around. Fish cleaning facilities available. This property is on ground level and has no steps. All doors except the laundry door are sliding doors. If someone in your group has mobility concerns, it would make their stay easier. 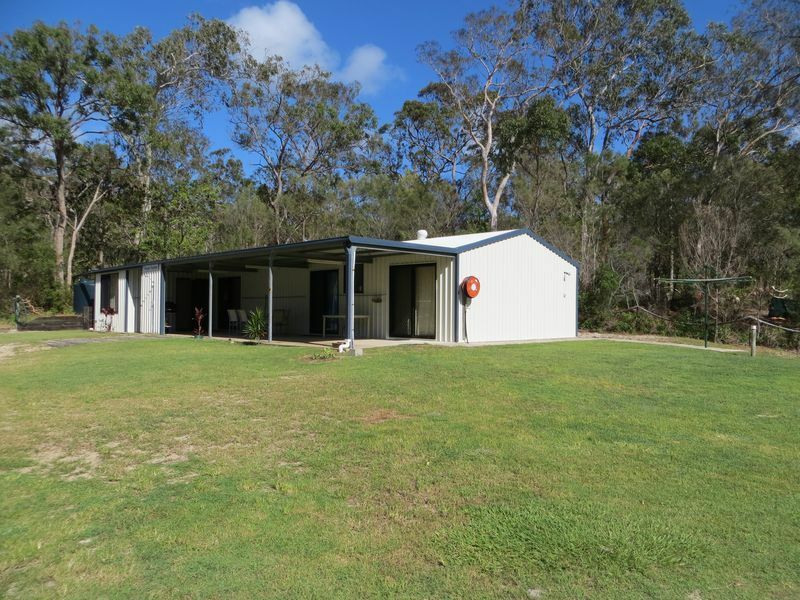 Located in the beautiful north of Fraser Island at Orchid Beach, away from the tourist bus stops. A favourite spot for families and fishing. Please don't bring high amperage devices such as hair dryers. The local shop has a limited range of basic food supplies. Fishing tackle and bait also available at local shop. Linen, pillows and towels are NOT provided. Please don't forget them. Please leave it clean when you leave. Andrews’ property ‘Fraser Forever’ was well presented on arrival and check in was a breeze. It’s in a very quiet corner of Orchid Beach with a peaceful and laidback feel. My family and I had a great time on Fraser and would have no problem staying at Fraser Forever again. We are happy that you and your family had a good stay at Fraser forever. Thank you for choosing Fraser forever. House was in a good location, would of been better if property was securely fenced for the kids to play and not have to worry about the dingoes as much. Highly recommended this property, well equipped, very well maintained & location is great. The house was more than sufficient. Spacious for our crew of 2 couples with everything you need. Good Refrigeration/Freezer and 3 Bathrooms is excellent. Great value for money and well organised.